WASHINGTON (Reuters) - U.S. Attorney General William Barr will not recuse himself from overseeing Special Counsel Robert Mueller's investigation into Russian meddling in the 2016 election and possible links between U.S. President Donald Trump's campaign and Moscow, a Justice Department spokeswoman said on Monday. "Following General Barr's confirmation, senior career ethics officials advised that General Barr should not recuse himself from the special counsel's investigation. 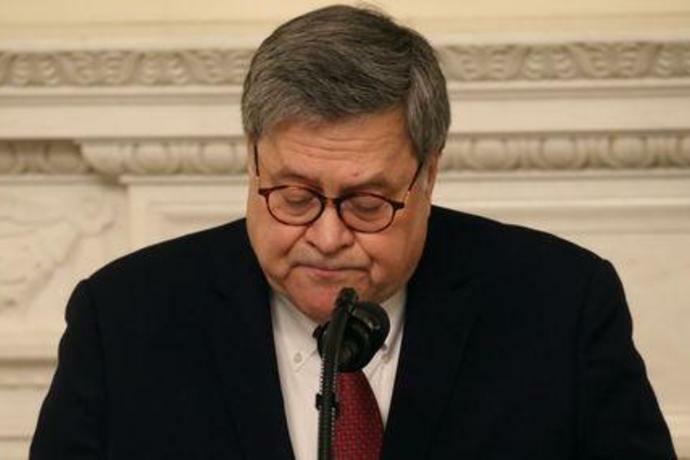 Consistent with that advice, General Barr has decided not to recuse," Justice Department spokeswoman Kerri Kupec said. Before his nomination for the attorney general post, Barr wrote a 19-page memo in which he argued that part of Mueller's investigation into whether Trump had obstructed justice was "fatally flawed." He shared the memo with Trump's legal team and the Justice Department. 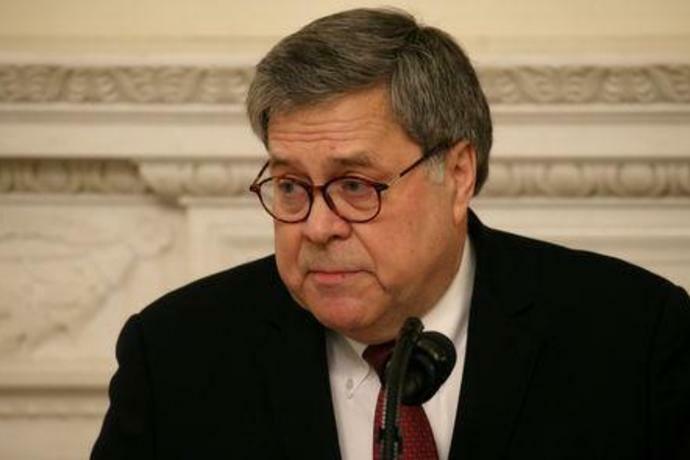 Later, in Senate confirmation hearings, Barr said he would allow Mueller to finish his inquiry and would make as many of its findings public as he can.. Mueller is widely expected to finish his investigation in the coming weeks. Former attorney general Jeff Sessions, who Barr had been brought on to replace, had recused himself from overseeing the probe after he failed to disclose at his own confirmation hearing meetings he had held with the Russian ambassador. Trump constantly publicly ridiculed and berated Sessions over his recusal.